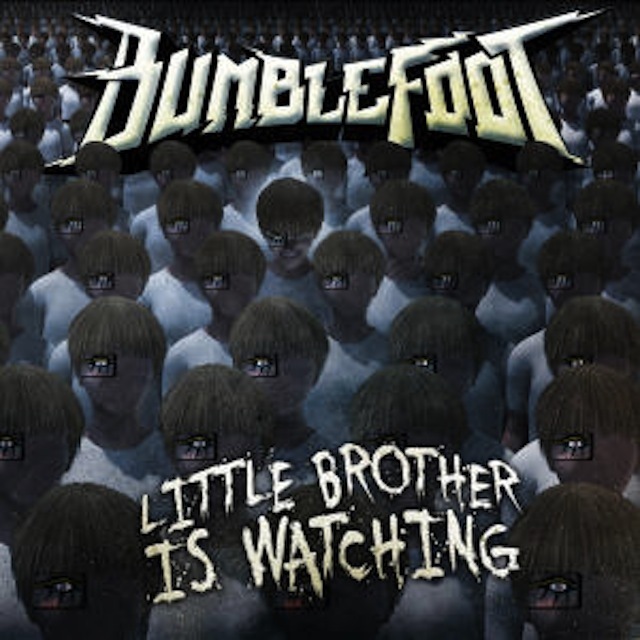 Guitar virtuoso, singer, songwriter, multi instrumentalist, and producer Ron “Bumblefoot” Thal has released his 10th CD entitled Little Brother Is Watching today. The album is an eccentric, upbeat collection of modern epic rock with haunting melodies, huge choruses and witty lyrics about life in the digital age and beyond. Specifically, his own life and coming to terms with what we all face – beginnings, endings, and moving on. The album was composed, produced, recorded, mixed and mastered by Bumblefoot at his studio in New Jersey, and also features drummer Dennis Leeflang and a crowd of 100 fans stomping, chanting and singing backing vocals recorded at a listening party in New York. 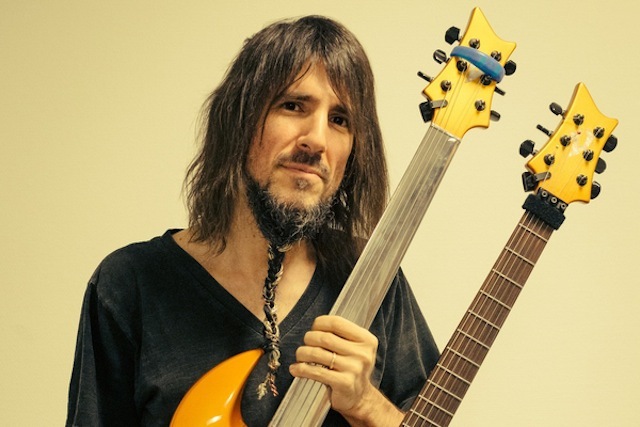 Bumblefoot has over 20 years of releasing music, performing at international festivals, headlining solo tours, won many album of the month/year awards and has appeared on the covers of numerous music magazines as a solo artist. As lead guitarist of Guns N’ Roses, Bumblefoot toured sold-out shows all over the world, headlining festivals with crowds up to 150,000 people. Bumblefoot’s unique ‘fretless guitar’ can be heard throughout GNR’s 2008 Chinese Democracy album. Bumblefoot has current collaborations that include DMC from the iconic rap group Run DMC, and Scott Weiland in the supergroup Art Of Anarchy. His music is often heard in TV, film and video games including the theme song to VH1’s That Metal Show. Bumblefoot also works with U.S. Embassies around the world on cross-cultural music programs, has his own line of award-winning hot sauces, and works with dozens of international charities visiting orphanages and children’s hospitals with guitar in hand. Great guitarist and prolific musician. Meanwhile, we sit and wait for a John Sykes album…. I am not sure if you keep taking swipes at Sykes because you like him and you are just a frustrated fan, or you are just being snarky. But either way, it has been duly noted.